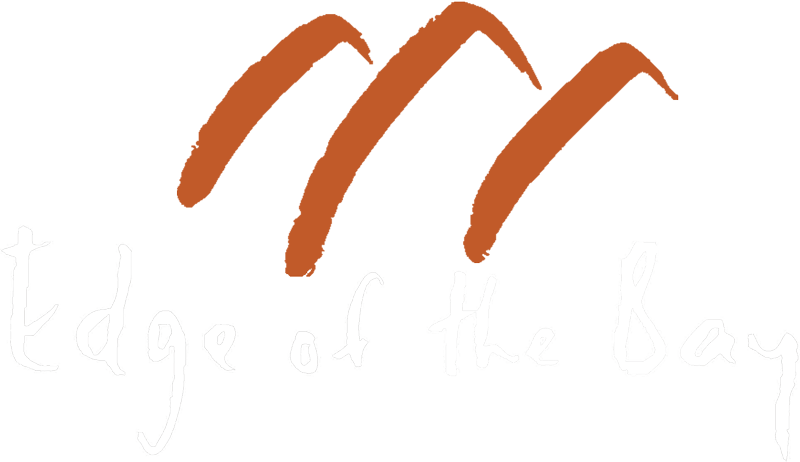 Please call (03) 6257 0102 during office hours, Mo.-Sun., 9am – 5pm or send an email to stay@edgeofthebay.com.au for a table reservation. To view seasonal closures, please click here. 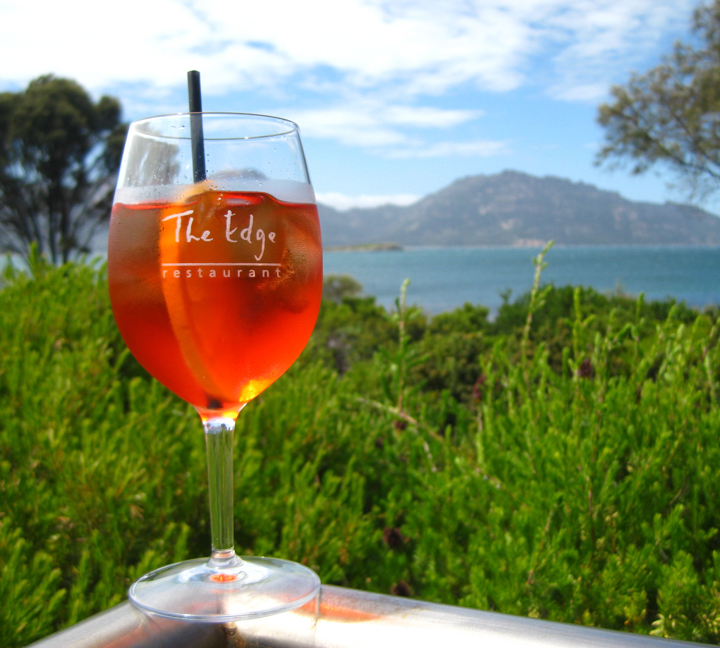 Just outside the township of Coles Bay, Edge of the Bay’s on site restaurant “The Edge” is open to the public every night for dinner of an evening and has a waterfront location that lends itself to a breathtaking dining experience. The view is nothing short of spectacular. Be prepared to lose yourself in the panoramic outlook over Great Oyster Bay, towards Coles Bay and the striking Hazards mountains. 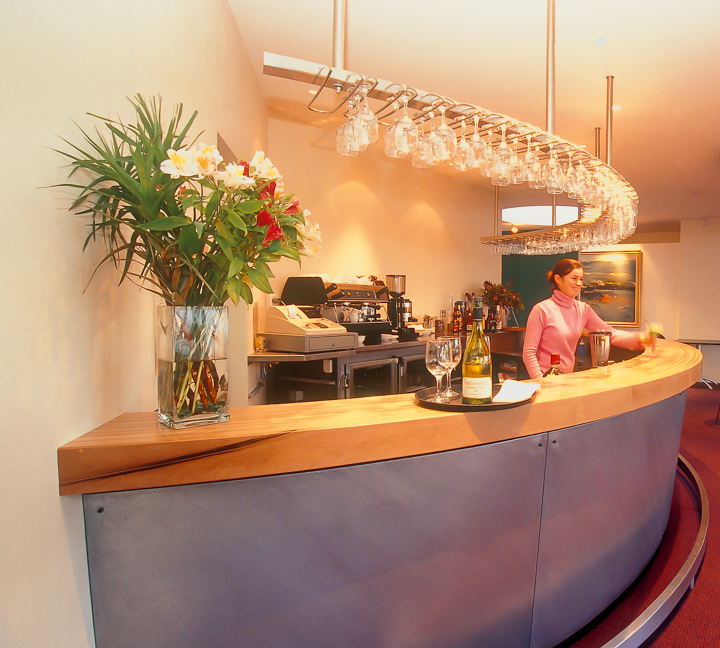 The restaurant kitchen is run by highly trained chefs with extensive industry experience. Taking care to source Tasmanian produce wherever possible, dishes at The Edge Restaurant are prepared to carefully preserve the natural flavours from our unspoilt island, and its clean cool oceans. 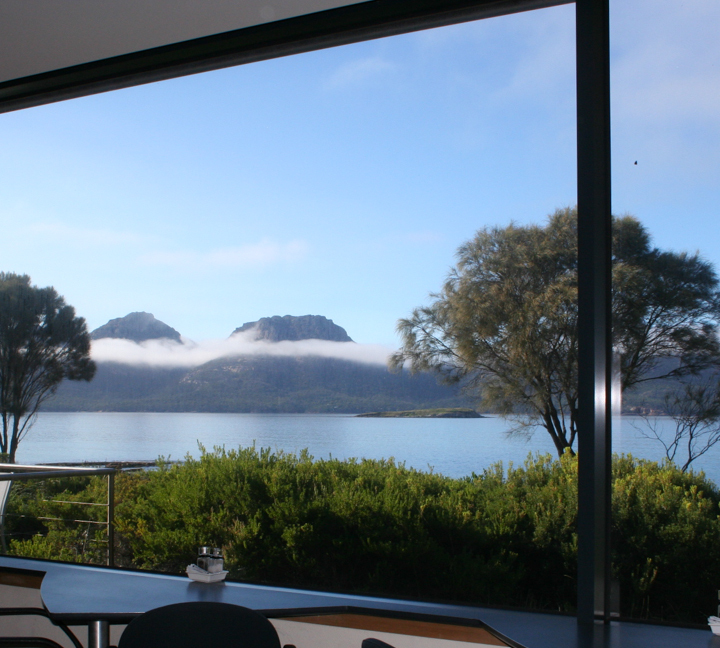 With a wine list offering a wide range of local grape varieties, and the iconic view of the ever changing hues of the ‘Hazards’ at sunset, The Edge Restaurant offers an authentic Tasmanian dining experience and the perfect end to a day in Freycinet, Coles Bay. Please feel free to enquire about our conference and function catering options. Whilst our suppliers do vary depending on the time of year and varying circumstance, we are proud to support the local producers listed below. ***	indic. vegetarian ^ dairy free option avail. ^^ gluten free option avail. All dishes may contain traces of nuts. All dietary requirements or changes to dishes need to be prearranged. Dinner: Restaurant opens from 5pm for pre-dinner drinks, dinner seating from 5:30pm. Children are welcome but we do request that they remain seated at all times. We do not have a separate children’s menu! To help us accommodate dietary requirements, details should be advised by 12pm on the day prior of you booking. Open every night in peak season, occasional closures during low season are specified below. Breakfast: Restaurant does not open for breakfast or lunch (unless booking for conferences or groups). Continental breakfast baskets can be arranged upon request. Cost is $14.00 per person. Baskets include cereal, yoghurt, milk, Tasmanian juice and spreads with house made bread. Catering for conference or groups: We are able to offer full cooked or continental breakfasts. We also have a range of options available to choose from for lunch.